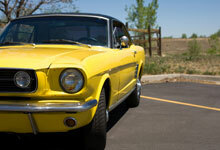 We know that an auto insurance policy can seem sometimes intimidating and confusing. We have applied our best translations to try and speak in easier terms for your better understanding of what your coverage means and is it adequate to fulfill your particular needs. Most certainly, it is important to read your policy and review the coverage’s found on the Declaration pages so you are better aware of your particular coverage details. Auto insurance coverage’s vary widely from state to state so be certain to review your coverage with your agent for a clean understanding of compliance with your state regulations. This Most valuable coverage covers your legal liability for damages caused by a covered auto incident or accident. It is also referred to as BI/PD coverage on your policy declarations pages. This most important coverage will pay for damages to someone injured due to your vehicle operations and includes property damage protection that you are legally responsible to pay as a result of an automobile accident. With most auto insurance carriers it includes coverage under the BI/PD benefits for an attorney to defend you. Limits should be appropriate enough to protect your assets from suit, repair any damages caused by you and provide compensation to anybody injured when you are deemed liable. A safe rule of thumb here is to buy as much Bodily Injury and Property damage liability as you can and a simple question for your agent is what is the next highest level of BI/PD benefits that are available? This will ensure that you have at least explored the next best BI/PD coverage available for your protection. Personal Injury protection is a benefit for you! This coverage also varies from state to state and not all states operate in a “No Fault” environment which is the alternate term for the PIP benefits. If you are injured, disabled or unable to work as a result of a covered auto accident, PIP is designed to cover your medical bills and sometimes lost wages too. The PIP benefit is normally a $10,000 limit with 20% co-pay and often times includes a set deductible of up to $2,000 per incident. Choose this coverage very carefully since it is for the most important person in the world, YOU! In addition to the medical and wage loss benefits, it my also include the costs for personal services that you must now pay someone else to do for you depending on the extent of your injuries. Medical payment benefits apply no matter who is at fault and covers the cost of reasonable and necessary medical treatment due to the result of an auto accident. This coverage is limited in scope of the amounts available and usually can be purchased in $1,000 increments up to $10,000. The medical payment benefits usually have a time period after an accident that will limit how long you can access the policy limits purchased. This amount can be easily identified on your auto insurance declarations pages. Uninsured and Under insured Motorist coverage pays for damages that you are legally entitled to recover under your own policy for injuries sustained in an auto accident. Basically, this coverage provides what you would have received from another person’s insurance company had that person been properly insured. In today’s busy world, many drivers purchase the very minimal amount of bodily injury protection which leaves you exposed to a catastrophic auto accident. Should your injuries and recovery exceed the other persons benefits and they do not carry enough insurance, uninsured motorist coverage will cover the damages and expenses that exceed the at fault parties bodily injury and property damage limits. Within your auto insurance policy coverage options, you may elect to have appropriate coverage and protection against damages to your vehicle whether you are at fault or not. This is usually referred to as comprehensive and collision coverage’s. There are varied levels of deductibles that you can select for these important coverage’s. Normally, it is wise to find a higher deductible to help maintain a lower premium. While in most cases, deductibles can vary in different levels and usually they are $250, $500 or $1,000 deductibles. Depending on your set of circumstances, unless you have a bank loan on your vehicle, the comp and collision benefits are not required. A general rule of thumb would be if your vehicle is of a value at say $3,000 or less, then it is deemed to be more prudent to remove the comp and collision and save those premium dollars for your own best use or to pay for minor damages on your own. Collision coverage pays for damages to your vehicle if damaged by an incident whereby you hit something or an uninsured/underinsured operator hits you. Comprehensive pays for all other damages caused by an event other than collision. It would include incidents such as, but not limited to, theft, hail, broken glass, vandalism and flood damages just to name a few covered perils. When your vehicle is equipped with additional custom parts and equipment, it is not normally covered unless declared to your insurance carrier and outlined as part of your coverage under comprehensive and collision. The standard insuring clause under comp and collision is that your vehicle is covered for “factory equipment” only. Any additions or alterations you add to your vehicle need to be disclosed to your agent and submitted to the company for proper rating and usually a small additional premium. For a very minimal additional premium, you should always consider the “what if” scenario for the times you may find yourself with a damaged or out of service vehicle. This is where Rental Reimbursement coverage will be a blessing in disguise. This benefit is completely optional and will reimburse you for rental car charges incurred while your vehicle is being repaired after a covered incident. Some companies will offer rental benefits in other cases as well such as disabled due to mechanical failure, factory recalls or other unforeseen events whereby your vehicle cannot safely travel under its own power. Not all companies manage their rental benefits the same so be certain to check your policy terms or contact the Atlass Insurance auto insurance specialist for proper guidance on what you really need. Towing and Roadside Assistance benefits are usually written along with the Rental Car benefit but not in all cases. Roadside Assistance coverage will provide payment for labor costs incurred at the place where your vehicle becomes disabled. Often, this benefit will also furnish fuel if you run out of gas, need a spare tire change due to flat or a battery jump should you have an electrical battery failure. Loan/Lease payoff coverage will protect you when your covered vehicle has been declared a total loss and you owe more on your vehicle than the vehicle is worth at the time of the loss. If you purchase the optional benefit and your vehicle is deemed a total loss, this coverage will pay the difference between the vehicle’s actual current value and the amount you owe your lender. This benefit has varying degrees of payoff amounts and not all companies offer this benefit so check with your auto agent specialist for clarification on how you can protect yourself from an economic hardship. What Increases Auto Insurance Costs?